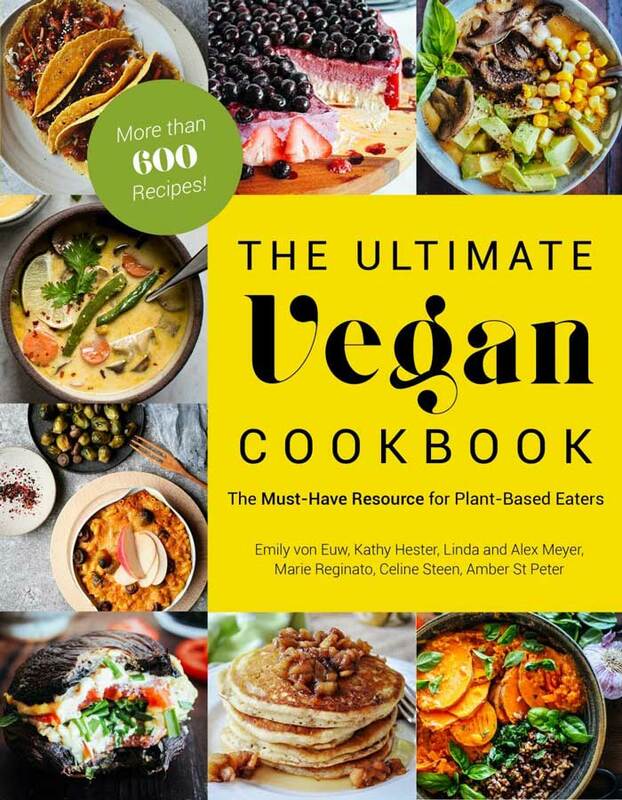 If you’re a vegan, vegetarian, or just health conscious, you need to read The PlantPure Nation Cookbook, by Kim Campbell, and then share it with everyone you know. 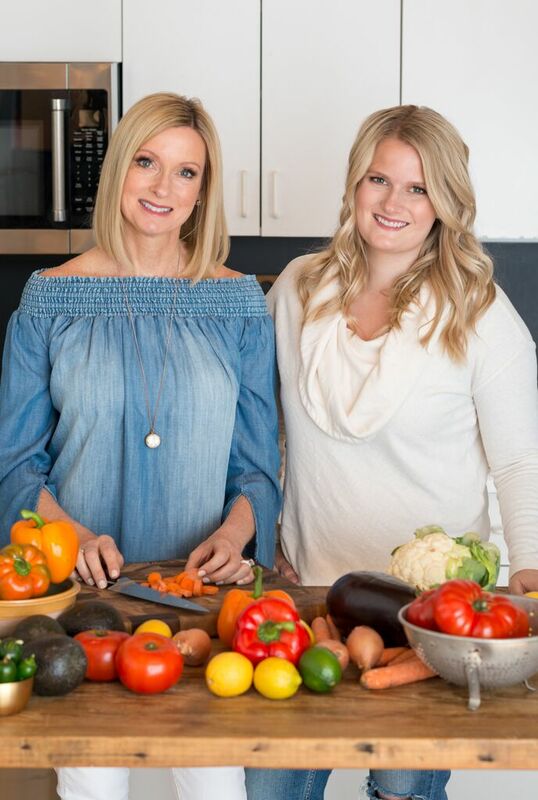 Campbell is a recipe developer and cooking instructor at Campbell Wellness, and she’s the wife of PlantPure Nation Executive Producer and Director, Nelson Campbell, and the daughter-in-law of the world famous Dr. T. Colin Campbell, who co-wrote The China Study. When BenBella Books asked me to review The PlantPure Nation Cookbook I was thrilled, because I have so much respect for Kim and her family. 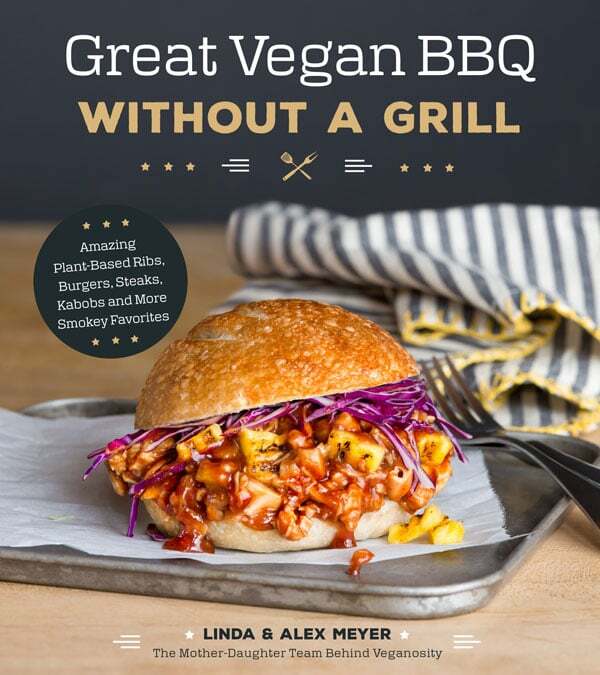 They’ve done so many good things for the vegan and plant-based community, and reviewing her book was my chance to do something for her. But as soon as I said yes to the review, I started to have second thoughts. What if I didn’t like the book? What if it wasn’t well written, or it was filled with things that have already been discussed ad nauseam? Then I realized that my job in reviewing this, and any book, was to be loyal and honest to my readers, regardless of how much I admired the author. So with that in mind, I got out my notebook and glasses and started reading. I wasn’t disappointed. The book begins with the foreward by Dr. Campbell. It was very heartfelt and to the point, and because I want you to read the book, that’s all I’m going to tell you. Kim Campbell’s introduction gives the reader a glimpse of the documentary movie, PlantPure Nation, which inspired her to create the cookbook. The basis of the movie is fascinating and quite powerful. 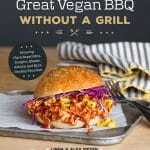 It essentially documents how a plant-based diet dramatically changed the health of the people in a rural North Carolina town, and how politics and the food industry giants play a huge role in how Americans eat. Again, I’m not going to divulge too much information, because you should watch the movie as well as read the book. 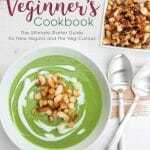 As far as cookbooks go, this one covers the important aspects of what one would want to do before embarking on a plant-based diet, but it doesn’t waste time on the obvious. 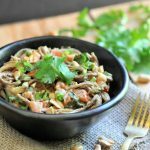 Campbell offers a comprehensive list of what you need to build a healthy and flexible pantry so that you will always be able to create a meal. She also does a great job explaining the differences of certain grains, such as couscous, oats, and spelt flour, to name a few. After a few tips and ingredient explanations, Campbell dives right in and starts sharing her beautiful and tantalizing recipes, beginning with breakfast and brunch. There are sixteen options with everything from smoothies to pancakes. 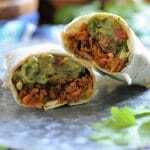 There are savory and sweet recipes and she gives hints after each one, so you can customize or substitute certain ingredients to suit your tastes. Campbell doesn’t miss a thing in this book. 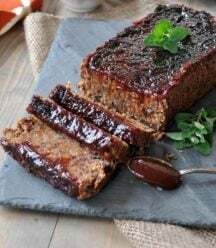 She shares bread recipes; snacks and appetizers; dips and spreads; salads; sauces, marinades, and dressings; spices and toppings; sandwiches, burgers, and wraps; entrees; side dishes; soups and stews, and of course, desserts and sweets. Every one of them looks fairly easy to make, and absolutely delicious. You know I’m a spice lover, and Campbell’s recipes use spices exactly the way I like to see them used. An interesting aspect to The PlantPure Nation Cookbook is that in between chapters, Campbell shares stories about how the PlantPure Nation documentary came about, and the experiences that she and her husband had during its production. There are also interviews with some of the people who were part of the documentary. All of the stories and interviews were fascinating and inspiring. 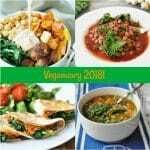 The PlantPure Nation Cookbook is a comprehensive and interesting cookbook for people who already eat a plant-based diet, and the perfect starting point for those who don’t. 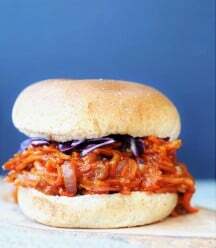 The recipes are easy to follow and so appetizing, and the information and helpful tips that Campbell provides makes it a useful and helpful resource for everyone. 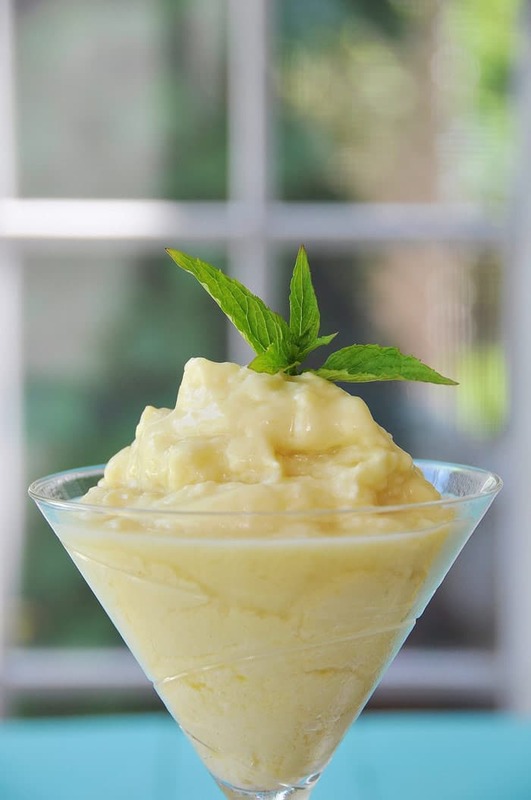 Because I couldn’t write a review without sharing a recipe with you, I decided to make Campbell’s pineapple sorbet. 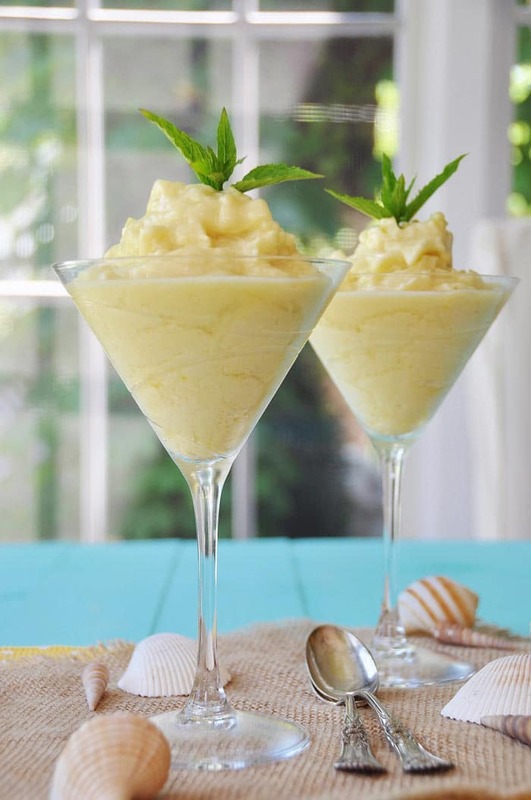 I could have made an entrée, because this is so easy, but in my experience, sometimes the simplest recipes are the ones that don’t live up to the hype, especially when the author states, “It’s my new favorite dessert.” And that’s exactly what Campbell said about this sorbet. I’m happy to report, after making this, it’s my new favorite dessert too! 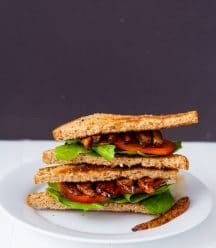 If you’re looking for something super easy and fast, but tastes like a dream, then this is for you. You can serve it in a bowl, or put it in a martini glass for an elegant presentation. I’m not kidding when I tell you that I’d make this for a dinner party and serve it with a delicate cookie. It’s truly that good. All you need is a ripe pineapple, nondairy milk, agave nectar (I used maple syrup), lite coconut milk, and a powerful blender . 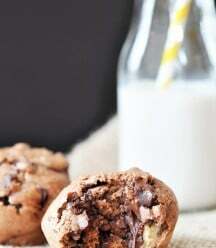 Put the ingredients in the blender and within a minute or two you’re going to have the most amazing treat ever. Campbell says that it’s like the Pineapple Whip at Disneyland or the Dole Plantation in Hawaii. I’ve heard great things about that dessert, and now I know why. It’s truly incredible. You have to try it. 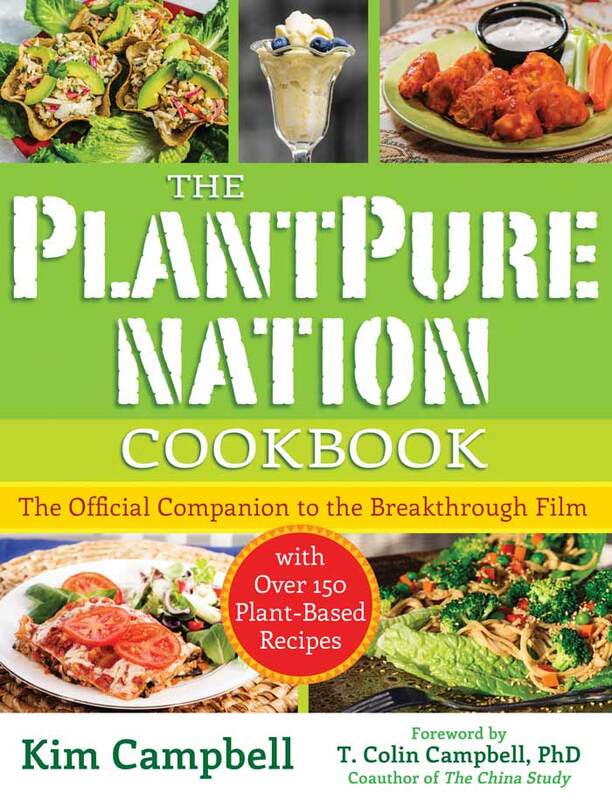 To purchase The PlantPure Nation Cookbook by Kim Campbell, click on the image below. This is review is based solely on my opinions. Except for the copy of the book, I was not compensated for the review. 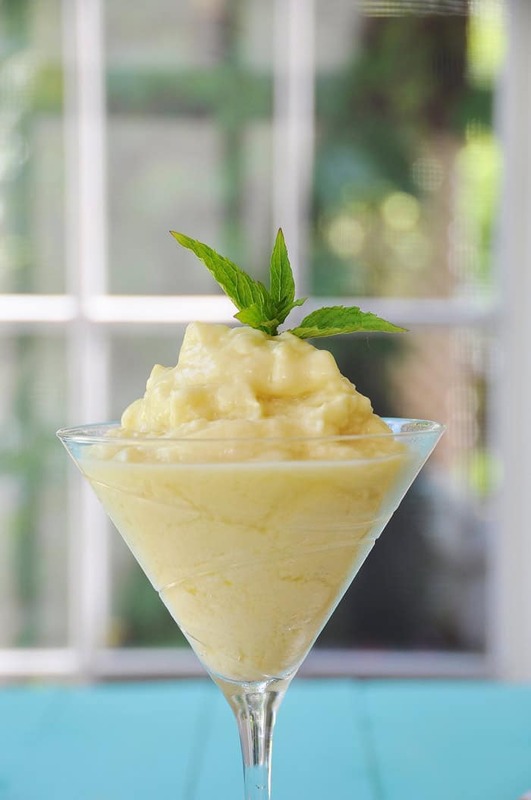 This pineapple sorbet is from The PlantPure Nation Cookbook by Kim Campbell. It' s a delicious, creamy, healthy frozen treat. Peel and cut up the pineapple, making sure to take out all the core. Freeze overnight. If you don’t have time, you can use store-bought frozen pineapple. Place all ingredients I a high-powered blender (a Vitamix or Blendtec works best). Blend until creamy. If needed, add more milk to get your blades spinning smoothly. Divide among 4 bowls and serve immediately.